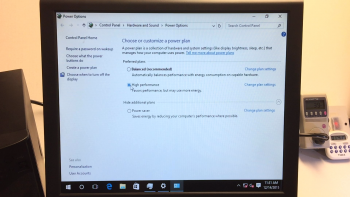 Windows Power profile set to "High performance"
It takes about 6.6 seconds for Windows 10 to boot, every time. Windows 10 power setting temporarily set to "High performance" but that setting makes no measurable difference for boot times, or much of anything else, for normal workstation use. 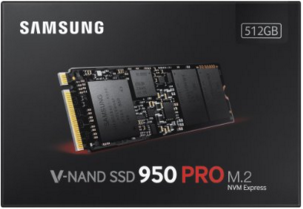 To be fair, the Supermicro is really intended for server use (mine typically runs 24x7 with VMware ESXi 6.0 Update 1a), and the UEFI BIOS itself takes about a minute. This article simply highlights the time it takes after the BIOS is done with POST, as Windows 10 begins to load, then auto-logs-in (using netplwiz.exe to save the login passsword), then renders the complete desktop. There are no startup items defined other than the ones Windows does by default, such as OneDrive, which can't sync here, since I left networking detached. Here's the full video, with details on the configuration and BIOS setting, so you can see the boot time and replicate my results. You'll also get a brief look at watt burn and Xeon D's Turbo GHz in action.